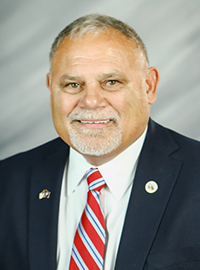 Steve Trosclair is serving his first term on the Terrebonne Parish Council as the District 9 representative. Mr. Trosclair is an Operations Manager for Local Offshore Boat Company. He has been a business owner for 30 years, a member of the St. Ann Knights of Columbus, and a life-long resident of Terrebonne Parish in the south portion of the parish.